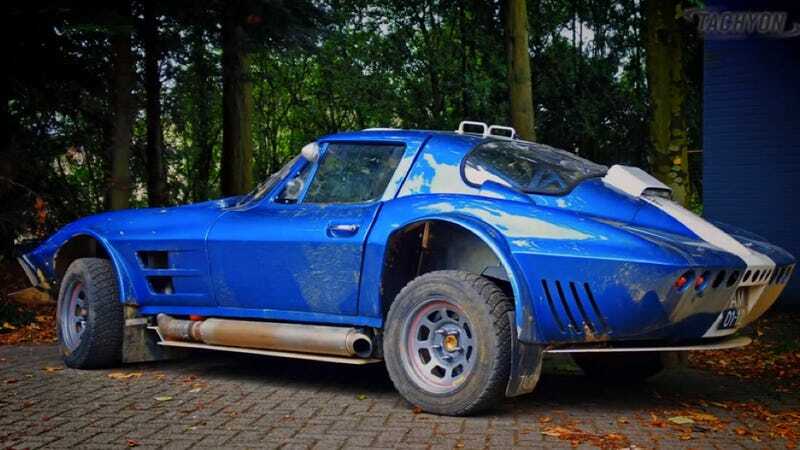 When you hear "Corvette Rally Car" you probably think of some dude who ixnayed the exhaust on a gnarly C4 and slapped some truck tires on there. But a C2 Grandsport? Are you kidding me? This is my new hero. Technically, this looks to be rallycross not straight-up rally, but does it matter? I'm in love.